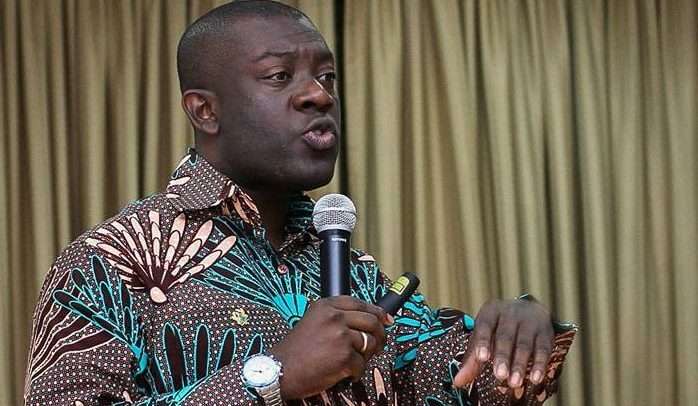 Information Minister designate Kojo Oppong-Nkrumah, has challenged the opposition to be constructive in their critique of government and not prophesy that national programs fail. Mr. Oppong Nkrumah was responding to predictions by NDC MP for Wa Central Rashid Pelpuo that the Nation Builder’s Corps (NABCO) program will be hit with difficulties leading to collapse. resident Akufo-Addo on Wednesday commissioned the passing out ceremony for 100,000 beneficiaries under NABCO modules which includes Feed Ghana, Educate Ghana, Revenue Ghana, Heal Ghana, Enterprise Ghana, Digitise Ghana and Governance Ghana. Speaking on Citi TV’s Breakfast Daily show, the NDC Wa Central MP criticized the Akufo-Addo administration and described NABCO as a “dishonest approach to job creation”. “Government has failed in creating jobs. NABCO is a duplication of the already existent YEA program. It will soon be hit with difficulties and will fail” Rashid Pelpuo said. But in a sharp rebuttal, the Information Minister Designate Kojo Oppong Nkrumah challenged the Minority MP and his colleagues to focus on the well-being of Ghanaians and not their selfish interest. “We expect the minority to encourage us and provide constructive criticism in implementing our major campaign promises and interventions but not wish our downfall” he said. Oppong Nkrumah said the concept of NABCO was unique because of its attributes which includes graduate skills training. He said government was dealing with the unemployment menace created by the previous NDC administration, while complimenting the efforts of the private sector with stimulus packages to create more jobs. Deputy Ranking Member on Parliament’s Employment Committee, Richard Quashiga, has downplayed the significance of government’s Nation Builder’s Corps (NaBCO), describing it as mediocre. Speaking on Eyewitness News, Mr. Quashigah said government had only rolled out a repeated initiative. NDC’s National Organizer Kofi Adams, has also said the programme will end up wasting Ghana’s resources. Nana Akufo-Addo further hit back at critics who downplayed the impact of the NABCO initiative saying it will succeed. Speaking at the passing out ceremony for the 100,000 NABCo recruits in Accra on Wednesday, he said he is optimistic the country will benefit from the talents of the NABCo graduates. “As has become the norm with every bold initiative proposed by this administration, this programme, predictably, was not only ridiculed in certain quarters but also met with pessimistic and cynical comments with some going to the extent of urging graduates from our nations tertiary institutions not to register for the programme. In NABCO, we have planted the seeds of growth and future of our country. I am in no doubt whatsoever that NABCO will succeed,” he added.